Move around more safely and easily with your oxygen tank! 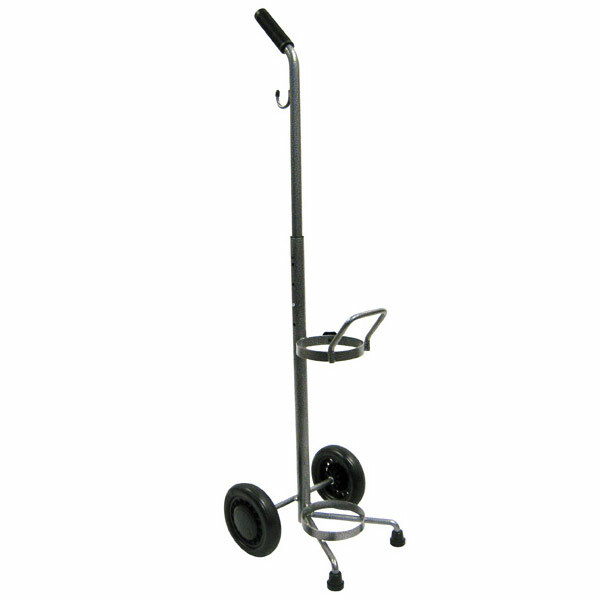 This lightweight chrome-plated adjustable steel cart can accommodate one D or E size cylinder. The handle is adjustable to accommodate most individuals, and the large, composite wheels allow for easy, safe maneuvering. A front fork provides additional support. Limited lifetime warranty.